We first met the A.P.C. fellows in Stockholm in November 2006. We were both opening a store next door to one another on the exact same evening… I remember it was a cold and dusky night and we all went to dinner right at the corner in a typically dark and stylish Swedish restaurant. At the table, the word “collaboration” was mentioned, but after this nothing really happened. Two years later, by the endof 2008, we called them to see if they were still interested in working together. Jean picked up and said: “Let’s do it”. They came to our headquarters but we mostly met in Paris, and over the course of over a year, we worked together on designs, fabrics, labelling, and accessories. I guess it was important for both of us to make something consistent, more of a small collection, rather than “just a collaboration” in the classic sense. Mixing our American work wear heritage and our classics with the A.P.C style, which we always respected very much, was, in our opinion, a perfect match and the right thing to do. In a way, although we are very different brands, Carhartt and A.P.C. have a lot in common, since we both stand for good basics, quality, and clean products – but in our own, individual styles. 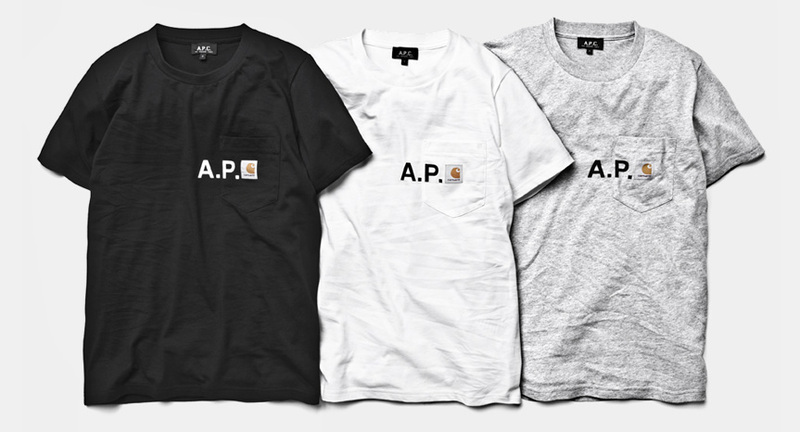 Only traditional Carhartt fabrics were used for the Carhartt X A.P.C. collection, but that of course is not all. With our typical attention to detail there’re plenty to spot with each item of which we show you a few here. 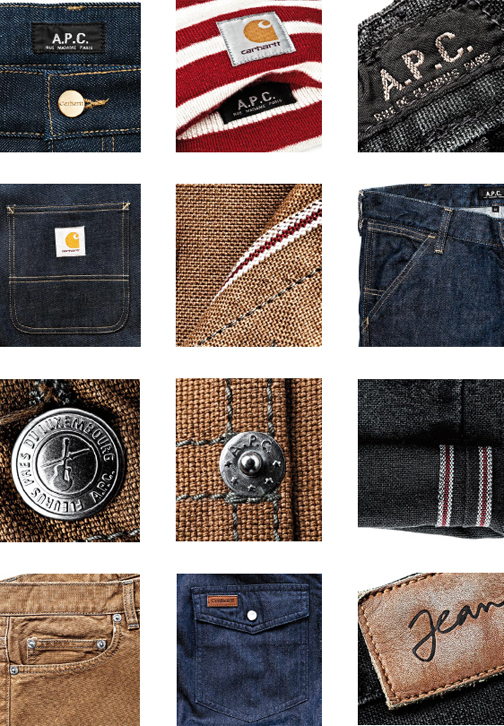 All of these are details of the individual Carhartt X A.P.C. items, available from today at Carhartt and A.P.C. Stores worldwide.